The pregnant woman is a unique patient due to physiologic adaptations that allow a woman to grow and maintain a fetus. In many ways, the fetus is a transplant—it is able to develop and grow within its genetically distinct mother without immune rejection. This is possible through the immunosuppressed state of pregnancy. During pregnancy, the mother’s immune system is subdued, so that the fetus is not rejected, and the placenta serves as the primary immunological barrier between mother and fetus. Unfortunately, that also places the mother at increased risk of infections of all types. For malaria, however, there is another part of the story. In placental malaria, Plasmodium falciparum parasites (the most common and deadly form of malaria) are trapped in the vascular spaces of the placenta. This phenomenon, called “sequestration”, is occurs due to parasite receptors that bind chondroitin sulfate A (CSA), a protein that is present in placental tissues. In the 1990s, scientists found that pregnant women with malaria produce a distinct set of antibodies against malaria. It turns out that even if a woman has had malaria multiple times in her life, if she contracts malaria during pregnancy, she is effectively getting a new form of the disease. Furthermore, any acquired immunity that she may have developed over the course of her lifetime exposures to malaria provides little protection against placental malaria. The susceptibility to malaria varies according to local transmission intensity and the woman’s level of acquired immunity. In high transmission areas, acquired immunity is usually high, and malaria infection is usually not symptomatic. In these areas, parasites are often absent on diagnostic blood smears, but present in the placenta. Placental malaria leads to maternal anemia, and low birth weight in the newborn. First time mothers are more susceptible to the clinical complications of placental malaria—in subsequent pregnancies, the mother develops antibodies specific to the placental malaria. In low transmission areas, women have lower levels of acquired immunity to malaria. Thus, malaria in pregnancy is associated with maternal anemia, an increased risk of severe malaria, and it may lead to miscarriage, stillbirth, prematurity and low birth weight. In these areas, all mothers are equally susceptible to placental malaria, regardless of how many times they have been pregnant. The physiological changes that occur in women during pregnancy make them especially vulnerable to malaria, with potentially severe consequences for both mother and child. During pregnancy, there are two patients—the mother and the fetus—and both are affected by malaria in pregnancy. Most often for the mother, malaria in pregnancy is asymptomatic, although uncommonly, she may have the classic symptoms of cyclical fever and chills. Because of the lack of symptoms, patients are less likely to be treated, and can build up a greater burden of disease in the placenta. Malaria is estimated to be responsible for up to 25% of severe anemia in pregnancy. The anemia is caused by increased destruction and sequestration of infected red blood cells by the spleen and placenta. Severe anemia puts the mother at risk of severe morbidity and death from postpartum hemorrhage, the major cause of maternal mortality in developing countries with limited access to obstetric and emergency care. Mothers with severe anemia are also at higher risk of heart failure. For the fetus, malaria can cause miscarriage, stillbirth, congenital infection, and most notably, low birth weight. Congenital infection, where the parasite is passed from mother to child, usually at the time of delivery, has been historically under-recognized, but more recent studies based on molecular testing have shown perinatal transmission rates of up to 33%. However, severe clinical manifestations of malaria is rare in the newborn, which is most likely due to the presence fetal hemoglobin, which is protective against Plasmodium infection for the first 3-4 months of life. Low birth weight, defined as a birth weight <2500g) is the most clinically significant sequelae of malaria in pregnancy. 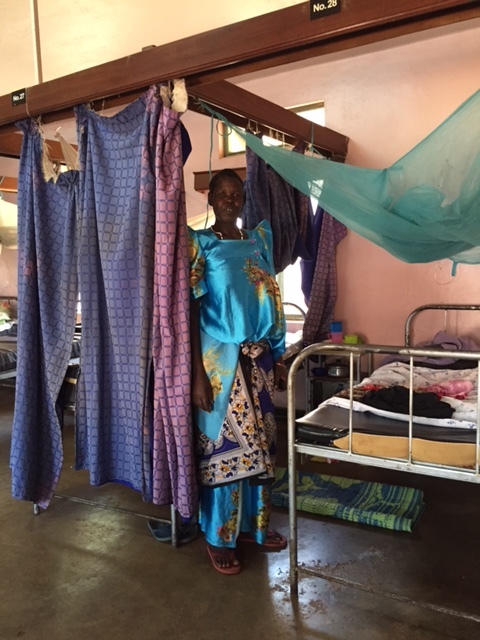 Malaria may cause up to 25% of the cases of low birth weight in endemic regions. 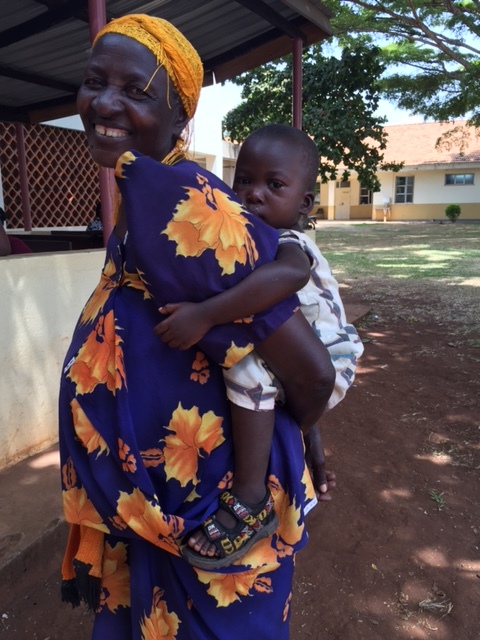 In Africa, low birth weight infants are 9 times more likely to die in the first month of life. Low birth weight is due to either prematurity (when the baby is born too early) or intrauterine growth restriction (where the baby fails to meet its full growth potential in utero). In developing countries, it is difficult to diagnose preterm delivery, since most babies are born at home and many women are unsure of their due dates. The mechanism of intrauterine growth restriction from malaria is an active area of research, but is thought to be secondary to poor nutrient delivery to the growing fetus, either from maternal anemia or placental inflammation. Malaria in pregnancy is a huge global health burden, and a significant cause of perinatal morbidity and mortality for both mother and baby. Multifaceted efforts are needed to tackle this serious disease: from malaria prevention strategies, access to appropriate treatment for affected mothers, and research to expand our understanding of how the parasite causes pregnancy complications, with hopes that we can find additional interventions to save mothers and their babies. Guyatt and Snow, “Impact of Malaria during Pregnancy on Low Birth Weight in Sub-Saharan Africa”, Clinical Microbiology Reviews (2004); 760-769. Desai M, ter Kulie FO, Nosten F, et al. “Epidemiology and Burden of Malaria in Pregnancy”, Lancet Infect Dis (2007); (2)93-104. Stephanie Valderramos is an obstetrician and Maternal-Fetal Medicine Fellow at the University of California, Los Angeles. She has been working in the malaria field for over 15 years–first as a Peace Corps Volunteer preventing malaria transmission in Honduras, then as a PhD candidate studying Plasmodium falciparum drug resistance mechanisms, and now as a perinatologist investigating malaria in pregnancy. Her current research focuses on the role of fetal immunity on poor fetal growth in placental malaria. Her work is funded by the National Institutes of Health Reproductive Scientist Development Program.